Gov. Susana Martinez declared Monday, Nov. 5, “Color the World Orange Day” throughout the state of New Mexico in recognition of Complex Region Pain Syndrome (CRPS). CRPS is a chronic pain condition that most often affects one limb, usually after an injury. CRPS is believed to be caused by damage to, or malfunction of, the peripheral and central nervous systems. Symptoms vary in severity and duration, although some cases are mild and eventually go away. In more severe cases, individuals may not recover and may have long-term disability. One local teenager, Julianne Molina, who will turn 18 Nov. 12, has been diagnosed with CRPS. 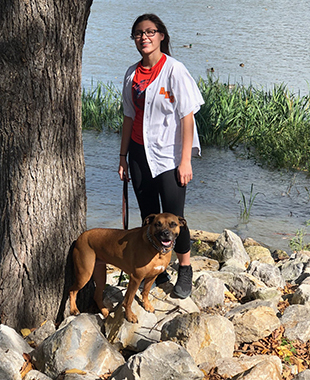 Molina underwent a long journey to her diagnosis and is now undergoing treatment at Neurologic Relief Center in Fayetteville, Ark., with very promising results. She began her treatment there in February and says she is thankful for those who have shown her support along the way. Molina is the granddaughter of Maxine Davis of Artesia, who has begun a Facebook page, “Julianne’s Journey,” to chronical her granddaughter’s ups and downs through the treatment process so all of her friends and relatives can be updated on her progress. Molina was heavily into the sport of soccer growing up in Artesia and had been looking forward to being able to play in high school until her diagnosis. She hopes to conquer the illness and return to school, sports, and a normal, pain-free life again in the near future.